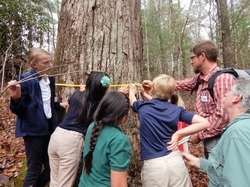 There are a number of ways you can volunteer your time to the Land Trust. If you are interested in volunteering, please contact us to see how you can best serve us depending on your interests and skills. We often have opportunities to help with stewardship projects, office projects, as well as opportunities to assist with our education programs. 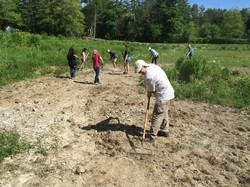 Stewardship volunteer opportunities include trail work, property management, conservation easement monitoring, and help with restoration projects. Throughout the year we have several scheduled volunteer trail days. If you are interested in helping with stewardship projects please contact the Stewardship Coordinator, Kyle Pursel. We have several projects for people interested in the following types of volunteer work: marketing, managing social media, creating paper and digital media, website work, videography, photography, and various clerical projects. If you have interest in helping us with any of the following, please contact the Development Director, Julie Schott.